Do you have a drawer full of broken inserts? Why buy new when we can repair them for you? Advance Handpiece partners with the Tony Riso Company to offer complete ultrasonic scaler tip rebuilding service. The Tony Riso Company enjoys an excellent reputation with years of experience rebuilding broken inserts. If you have a drawer full of broken inserts, why not give us a try? For about half the cost of new, we will break down your old insert, replace whatever necessary, and refurbish your old inserts to “like new”. The rebuild insert is warranted for 30 days - if you are not completely satisfied we will refund your money cheerfully. Your satisfaction is guaranteed. We repair ultrasonic scalers too! 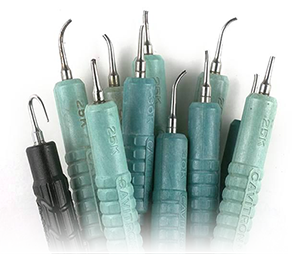 Advance Handpiece repairs all makes and models of ultrasonic scalers including the complete Dentsply Cavitron® line. We may be able to repair units that are no longer supported by the manufacturer. 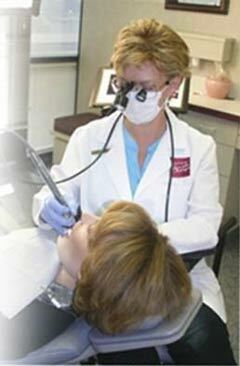 We will generate an estimate for all scaler repairs following a complete diagnostic evaluation. There is no charge for an estimate, however if an estimate is declined there will be a return charge for the actual shipping expenses incurred. All ultrasonic scaler repairs carry a full ninety day warranty.